A bold new transformation is happening in Etobicoke’s new city centre. 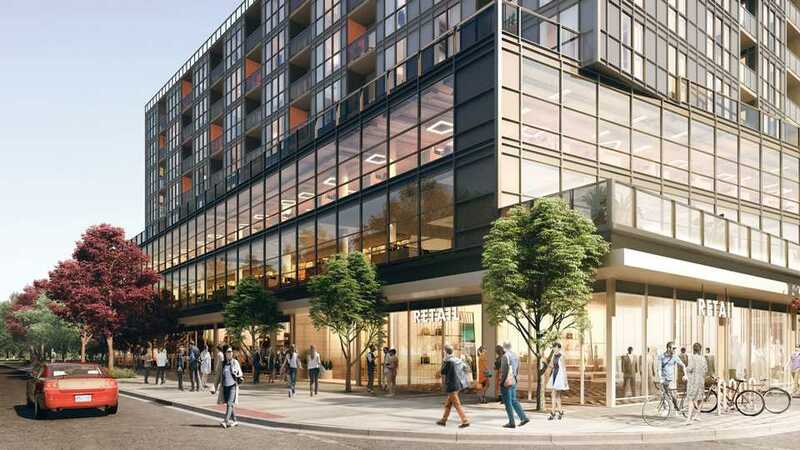 Incorporating large-scale retail, a one-acre park and condominium residences – living, working, playing are possible in a location that has it all. Welcome to Pinnacle Etobicoke. Pinnacle Etobicoke – a spectacular master-planned mixed-use community in Etobicoke’s new city centre, will be a people place, one that encourages community cohesiveness and culture. 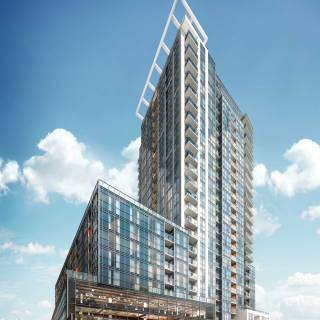 When completed, it will be an urban forest of modern condominium towers, indoor amenities and outdoor space that future residents and visitors can enjoy. Conveniently located a short walk to the Kipling subway station and GO Station, and minutes from Hwys. 427, QEW and Gardiner Expressway, getting to your favourite hot spots are quick and easy as can be. 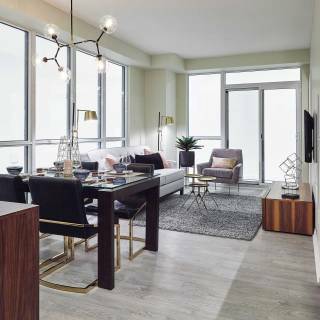 This ideal location is your connection to Etobicoke, Toronto, Mississauga, Brampton and the surrounding areas. Residents can leave their car at home and take public transit for a stress-free commute to work. Enjoy fine dining and shopping at Sherway Gardens or Square One Shopping Centre. Or hop onto the nearby highways to Port Credit, Niagara Falls and all points in between. Cypress is the first tower introduced in this remarkable community. 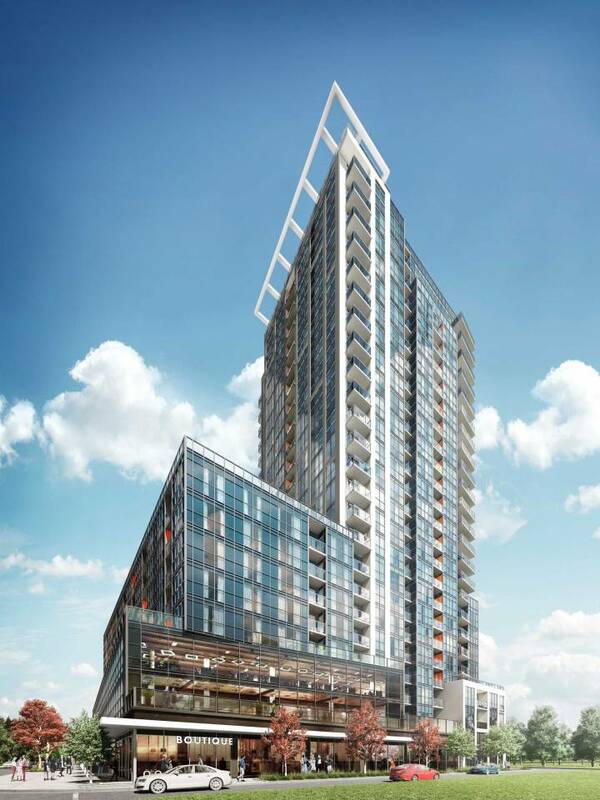 Rising 25 storeys tall, with a wide range of residential suite layouts along with 16,000 sq. ft. of retail and 40,000 sq. ft. of office space in the eight-storey podium, it will set the foundation for this exciting new master-planned community. All suites boast impeccable finishes that are sure to impress! Suites include nine-ft. ceilings, laminate flooring, expansive floor-to-ceiling windows, gourmet kitchens and luxurious bathrooms. Kitchens feature full size stainless steel appliances, quartz countertops, under cabinet lighting and even soft close cabinet doors! Bathrooms come complete with deep soaker tubs, rain shower showerheads, quartz countertop and so much more. Celebrate life’s special moments in the designer decorated party room, unwind in the fitness centre complete with the latest fitness equipment, or stretch your worries away in the yoga room. Or better yet, enjoy the evening breeze from the landscaped outdoor terrace. Cypress offers a wide range of condominium homes designed just for you. 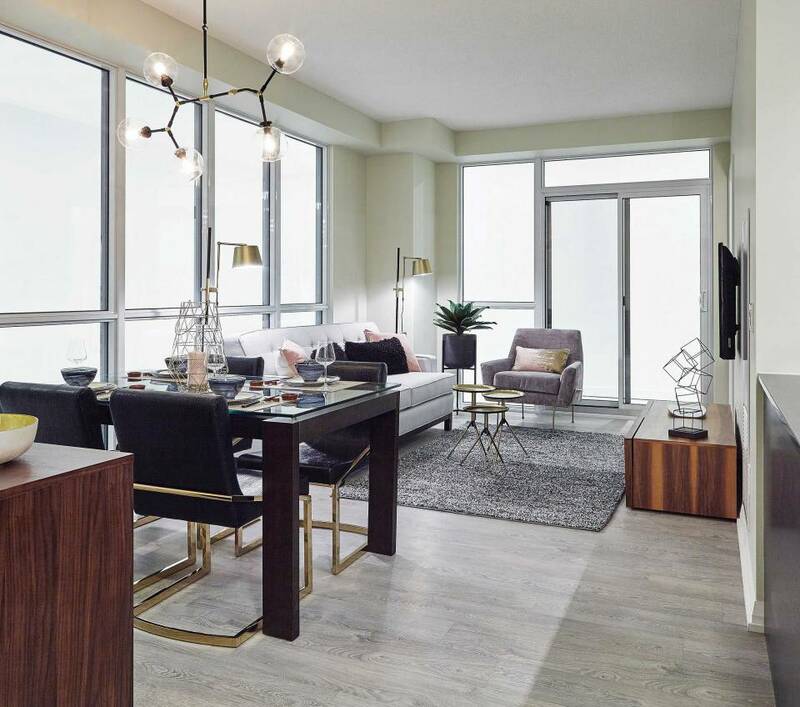 With easy access to public transportation and major highways, convenient amenities and outstanding finishes, it is easy to see why Cypress at Pinnacle Etobicoke is a great place to set down roots. Living, working and playing are possible in a location that has it all. You can make the most of every minute. Suite sizes range from 590-sq.-ft. one-bedroom to more than 1,100-sq.-ft. two-bedroom plus den. Prices start from the $400,000s.